Note: This page is about Anna Christine, the 12 years old prodigy singer from Henderson Nevada and not about Anna Christine Speckhart, the 24 years old Model from Illinois, USA. Anna Christine has been singing since the age of five. Her first live performance was on June 4th of 2013 while auditioning for the 8th season of America Got Talent. She sang “House of the Rising Sun” and demonstrated the beauty, depth and soul of her voice. At the time Anna was only 10 years old and no one could believe that a 10 years old could have such a mature and beautiful voice. I can’t sing and\I can’t play the piano either. Even if I could sing and play the piano, I would probably not be able to do both at the same time. Anna’s ability to do both is just amazing. 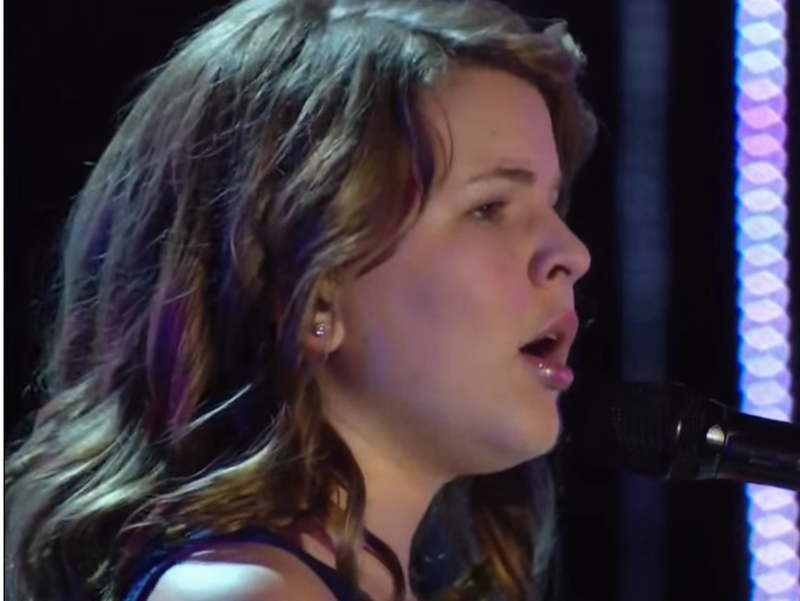 It is so sweet how much pressure Anna felt during the audition… what an amazing job she had done. Anna is not only blessed with a beautiful voice, she also plays the Piano and she writes her own songs. Finally, this is Anna Christine’s Facebook page. At the time of writing this article, I simply couldn’t believe that Anna had only less than 3000 likes on Facebook nor could I believe that her Youtube channel (no long exists) had only 315 K views. I have seen many other singers on Youtube who aren’t as half as talented as Anna but are far more popular. I went on to watch a couple of the videos on her channel and then I knew why. The Audio quality of most of the videos on her channel aren’t that good, Anna Christine has an amazing talent and I would love to see her live up to her full potential. It is necessary that her parents make sure that she can get proper musical and recording equipment and help her show her talents better on Youtube. Anna is singing difficult, old and not so popular songs. I think she could do much better if she does more modern and more popular songs like, All of me for John Legend or Chandelier for Sia or Halo for Beyonce. If she does both, not only will she be more popular, but she can also build a career in singing and make a lot of money to support her studies and future. HeY there, dear lovely Annæ. I got your Video-clip today on youtube. I was watching it so far for at least 3-4 times. Once with tears in my eyes because of my thirdly spanish/italian/swiss daughter called Eleni. You have an outstanding and remarkable voice and a big fire in you. It makes my heart growing 2 see yao… 😅 . With a looooot a looot of love, Daniel K.
Girl…im a Mom and know Las Vegas…. luv the joy your song gives, and luv it best for yourself. Ask and listen to your inner voice, and protect yourself… be Katniss. I came across your AGT video a while back while searching for House of the rising Sun. I’ve saved your clip and you bring tears to my eyes every time I listen to it. You have such natural talent that I wholeheartedly hope you have the opportunity to use. anna, I think you should perform on the Ellen DeGeneres Show. You have a good voice.